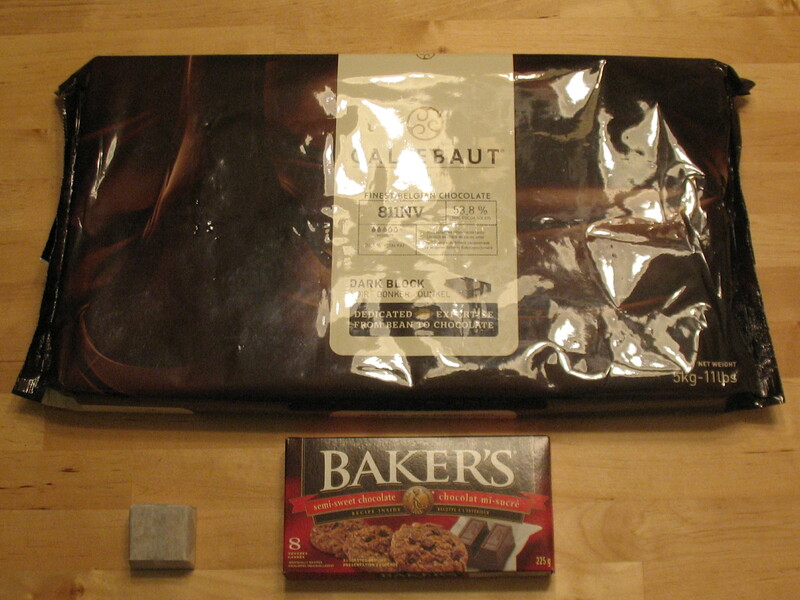 See the piece of baker’s chocolate to show scale. 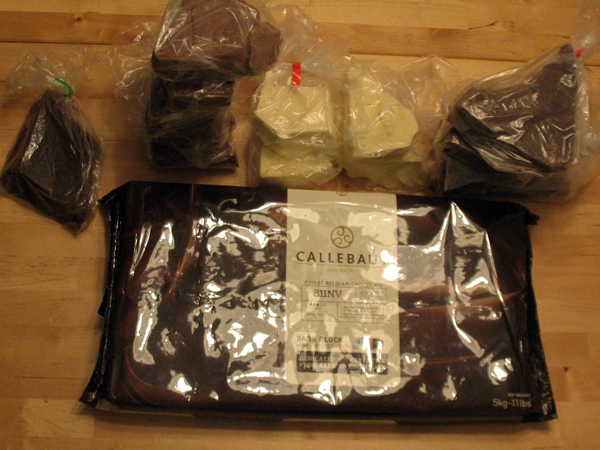 And this is what 10 kilos looks like (22.04 lbs)! We are getting close to The Weekend of Trials & Tribulations in my house, otherwise known as CHOCOLATE FUN TIME.